SCS has extended the application deadline for an exciting opportunity, the Entrepreneurial Capacity Development and Local Business Catalyst position. We are seeking a highly motivated, self-starter to work as a local business catalyst in Sitka, Alaska. This catalyst will work with community partners and identify local entrepreneurial needs and opportunities. The candidate’s main focus will be to develop programs that stimulate and empower the community and establish projects that focus on living and buying locally. Click here for a full position description and details on how to apply! Below are the trips and dates with spots available for volunteers. To volunteer, fill out the forms and safety information here, and email them to adam@sitkawild.org and bryan@sitkawild.org. Volunteers will be travelling to Slocum Arm in West Chichagof Wilderness Area to help researchers monitor plots for the Yellow-Cedar study by Stanford University. The crew will be transported by charter boat to Slocum Arm, then access field plot by kayak. Volunteers will be travelling to Slocum Arm in West Chichagof Wilderness Area to help researchers monitor plots for the Yellow-Cedar study by Stanford University. The crew will be transported by charter boat to Slocum Arm, then access field plot by kayak. This trip will trade-out with the previous trip on July 14th. After boating from Sitka to Whale Bay, the crew will off-load with gear and packrafts. After hiking to Plotnikof Lake, the crew will packraft to the end of the lake, portage to Davidoff Lake and paddle to the end of the lake, then reverse the trip back to salt water. Volunteers will assist SCS staff and collect ecological and visitor use data. At the end of the trip, volunteers will fly back to Sitka by float plane. Red Bluff Bay on the eastern side of South Baranof Wilderness Area is a spectacular destination. The SCS crew will spend 8 days camping in the bay and traveling by kayak and foot to monitor base-line ecological conditions and visitor use before flying back to Sitka by float plane. Red Bluff Bay on the eastern side of South Baranof Wilderness Area is a spectacular destination. The SCS crew will spend 8 days camping in the bay and traveling by kayak and foot to monitor base-line ecological conditions and visitor use before flying back to Sitka by float plane. This trip will trade-out with the previous trip on August 3. Volunteers will paddle from Sitka to the Taiguds and surrounding islands to assist SCS Wilderness staff monitor recreational sites and collect beach debris for future pick-up. The crew will then paddle back to Sitka. *Note: These dates are not yet firm and may be subject to change. Join the Alaska Way-of-Life club for fun summer activities.The clubs will begin on June 10th and run through July 21st. To register, contact Courtney at 747.7509 or courtney@sitkawild.org. Alaska way-of-life Hiking Club . Every Wednesday from 2:30 to 4:00 pm Every week, this club will explore a different trail in Sitka and learn new skills like wild edible identification and harvesting, tracking, and GPS/ map work. Open to all ages. Gardening Club Every Monday from 2:30-4:00 at St. Peters Fellowship Farm and Thursdays (community outteach/filed trips), Kids will be able to get their hands dirty every week at St. Peters Fellowship Farm while learning gardening techniques and skills. Open to all ages. As recreationists we put on our hiking shoes, as fishermen we sport xtra tufs, and for Sitkans Against Family Violence (SAFV)’s Girls on the Run program, we learn and run in sneakers. This was SAFV’s fifth year participating in the Girls on the Run program and the Sitka Conservation Society’s first. Our mission at SCS ties us to protecting the beautiful Tongass National Forest that surrounds us and also connects us to the development of sustainable communities. We also use the triple bottom line as one of our guiding principles, meaning that healthy communities, protection of the natural environment, and economic vitality have to be balanced for a sustainable earth. 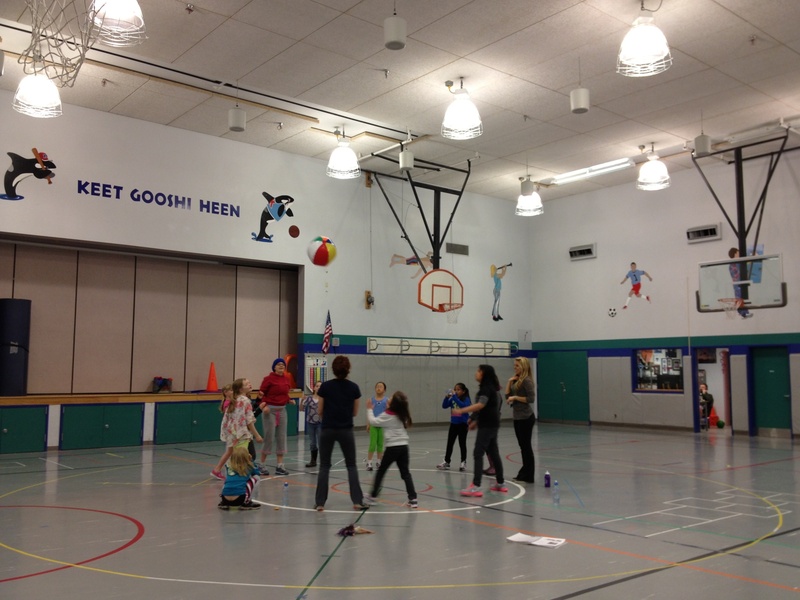 Twice a week throughout this past fall and spring, I would join other volunteer coaches at Keet Gooshi Heen Elementary School to learn with young women about topics like peer pressure, bullying, and self-reflection. Activities would range from circling up and collectively trying to keep a beach ball up in the air to running laps forwards and backwards in pairs to even making dream catchers for patients at the SouthEast Alaska Regional Health Consortium (SEARHC)’s hospital. We asked each other questions, smiled and laughed while going over the days lessons, and simply had fun. Programs like Girls on the Run help us create space for young women to come together as a team, work through topics that discuss the meaning of community and positive thinking, all the while creating relationships to support one another. These are seeds that overtime will bloom into the sustainable community we work hard to have. Community is not a dream although it is quite often idealized—a community is people and the relationships that hold them together. 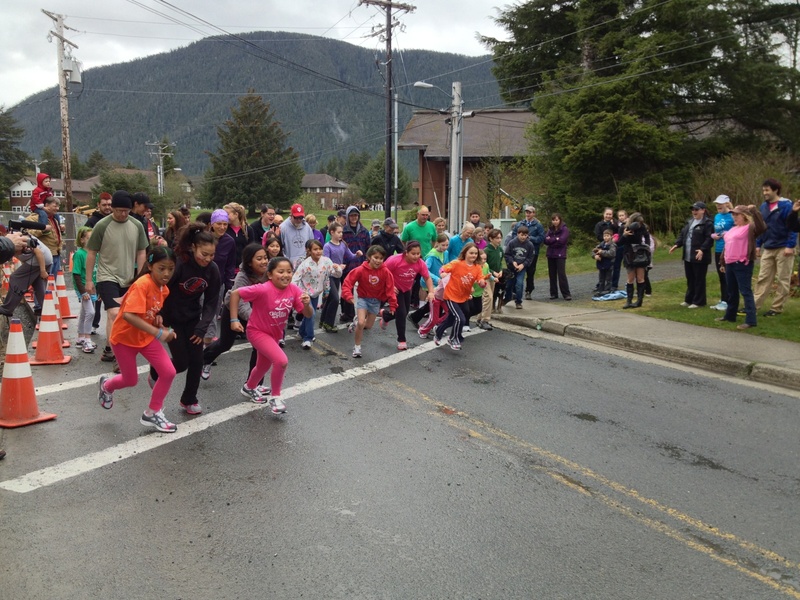 Having programs like Girls on the Run are preventative measures for our young women here in Sitka. The Sitka Conservation Society would like to thank SAFV for their commitment to community empowerment and prevention. Preventative work makes it so that we are not treating hardships or mistakes after they have already happened but instead working to avoid them all together through education, mentorship, and teamwork. “Girls on the Run is so much FUN!” A team-building exercise, we all circled up and tried to keep this beach ball in the air as long as possible. “1, 2, 3-GO!” Closing this year’s Girls on the Run program was our 5K run, where members of the community joined our girls for their big day! On May 25, 2013, tens of thousands of people from around the world will gather in more than 300 cities in protest of the agrochemical giant, Monsanto. Sitka’s March Against Monsanto will take place at 2:00 pm on Castle Hill in Sitka, Alaska. The Sitka Conservation Society’s community organizer Ray Friedlander participated in the event and chose to discuss and recreate the ecological relationships commonly found throughout the Tongass National Forest from the perspective of Coho salmon. 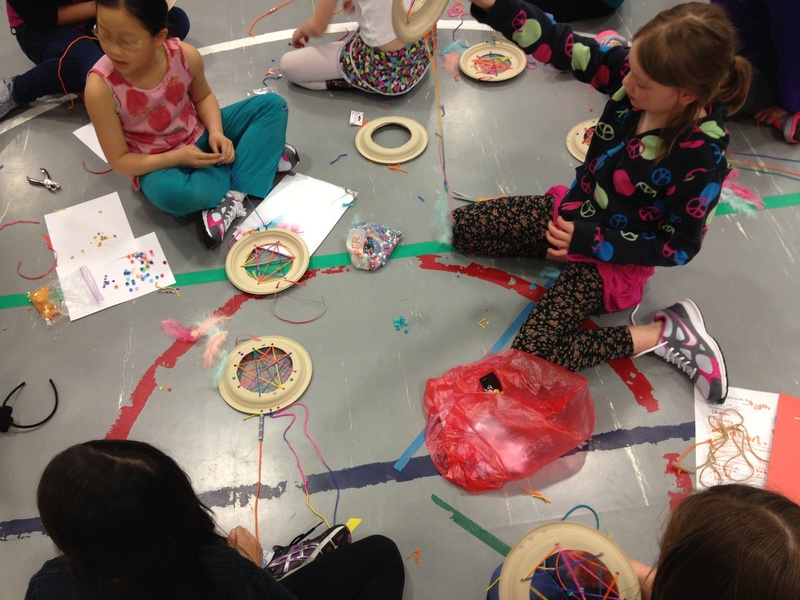 For the activity, girls ranging from ages 5 to 10 embodied a particular role in the web. Roles included fishermen, aquatic insects, old growth forest, eagles, bears, ocean, and rivers, which were represented by photographs that the girls wore around their necks. The most popular role however was the Coho salmon, which was represented by a stuffed animal toted around by one of the girls as she made her way from Girl Scout to Girl Scout with a red ribbon. As the salmon “swam” its way to each critter or habitat in the web, questions were posed to the group about the significance of that relationship. “What relationship do you think this salmon has to the old growth forest?” Friedlander asked the group. “The shade from the trees helps keep the salmon from getting too hot,” said one Girl Scout. “The roots stop the soil from going into the river and making it dirty,” said another. Arguably, to kn ow a place is to know the plants. It’s one thing to appreciate the aesthetics of a certain habitat but another to really know the plants within it. To really know a plant creates a relationship. One that’s based on an understanding and appreciation of seasons, habitat, and life cycle. It’s a give and take—food and medicine (among others) for protection and stewardship. 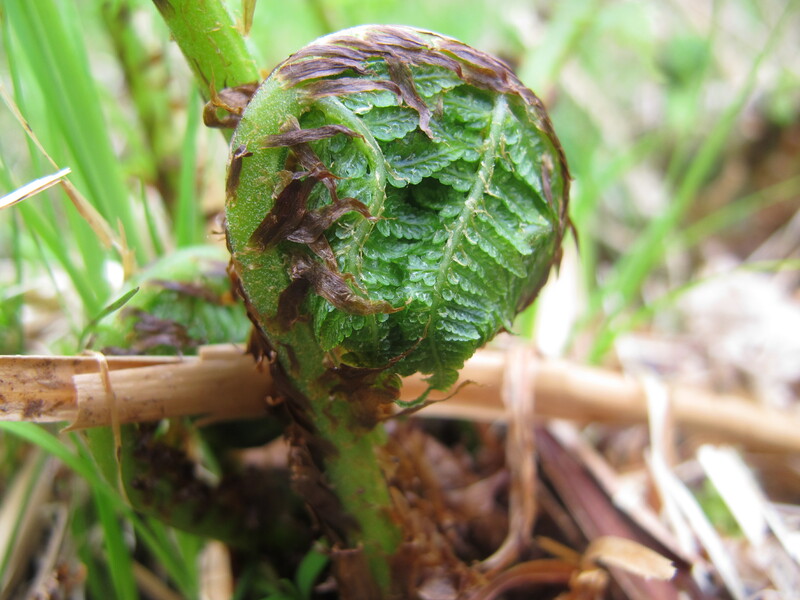 The Sitka Conservation Society created an opportunity for community members to deepen their relationship to the land through a “spring edibles plant series.” This class explored edible plants in three different habitats: the forest, estuary, and coastline. 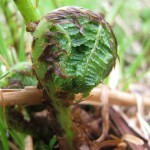 Students learned how to identify plants, where they are commonly found, harvesting techniques, and preparation methods. And now, we hope, they have a deeper appreciation and connection to the Tongass National Forest. This course was a partnership with the Kayaani Commission, which was established in 1998 to “preserve and protect the historical and traditional knowledge of the way plants are used.” Kayaani Commissioners shared a customary wisdom, complementing instructor Scott Brylinsky’s extensive knowledge of edibles and plants. 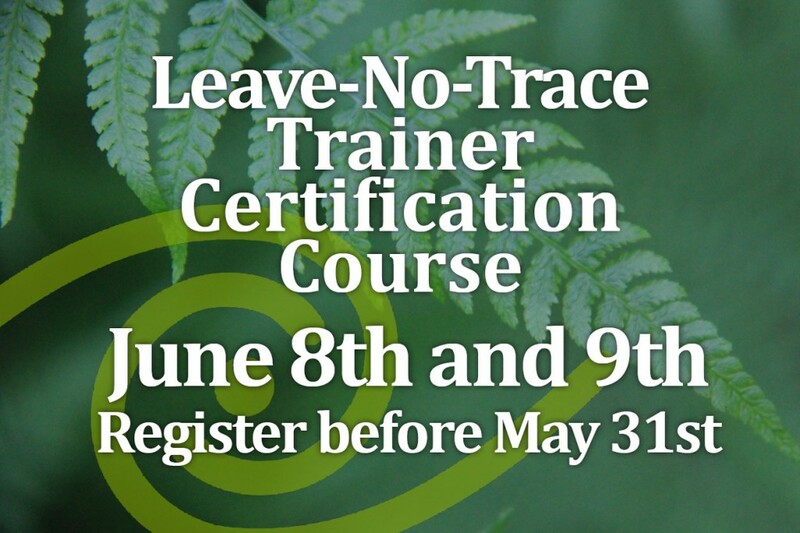 Description: This course will allow participants to learn, practice, and teach the principles of Leave-No-Trace outdoor ethics and will certify participants as LNT Trainers. The Leave-No-Trace Center for Outdoor Ethics is a national organization dedicated to teaching people how to use the outdoor responsibly. It is the largest and most widely accepted and widely used outdoor ethics accreditation program in the nation. 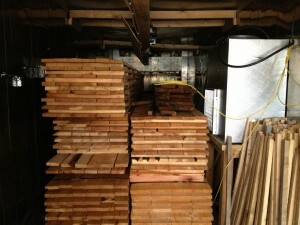 The Training includes 16 hours of hands-on instruction and overnight camping. The course will be held at Starrigavan Campground. Who: This course is intended for outfitters, guides, naturalists, Scout leaders, etc., and anyone who would like to have certification to teach Leave-No-Trace skills. Course Times: The course will begin at 9:30am on Saturday, June 8th and will conclude by 5:00pm on Sunday, June 9th. Gear: Participants need to bring their own camping gear. SCS has a limited amount of camping gear to loan if necessary. Please pack a lunch for the first day. Cost: $35.00 per person. The fee covers dinner on Saturday, lunch and dinner on Sunday, drinks, and course materials. Contact: Please reserve your spot by registering before May 31st. To facilitate your preparation for the course, we recommend an earlier registration if possible. You can register by contacting the Sitka Conservation Society at 907-747-7409 or by emailing adam@sitkawild.org. The Jesuit Volunteer Corps (JVC) Northwest has placed volunteers in various organizations all over Sitka for nearly two decades, focusing on issues of social and ecological justice. This year, I joined the Sitka Conservation Society team as their first Jesuit Volunteer (JV). Many of the core values of the JVC Northwest program align closely with those of Sitka Conservation Society. Social and ecological justice are important aspects of the work I do at SCS and are crucial values in the JVC Northwest program. My position, Living with the Land & Building Community Jesuit Volunteer, works toward ecological and social justice in several capacities. My involvement with the Fish to Schools program at SCS is one of many examples of these two organizations, JVC Northwest and SCS, working to achieve the same goal. Fish to Schools coordinates local salmon and rockfish to be served in five Sitka schools. This program promotes not only social justice by allowing students with free and reduced lunches–who may not always have a balanced diet– a chance to eat a healthy local meal at school, but also ecological justice as well. By supporting our local fishermen and teaching students about sustainable fishing, we are influencing students to work towards ecological justice. Aside from my projects, the Sitka Conservation Society has a myriad of programs that advocate and work for ecological justice. Programs like Stream Team, where 7th graders get to spend 3 days outside learning about restoration and proper land management, is only one example in a long list of programs that SCS has created to encourage ecological justice. Another core value of the JVC Northwest program is community. I live with three other Jesuit Volunteers who are placed at other non-profit organizations in Sitka. We live together, share food, have meals as a community, and support one another. Helping to foster a sense of community continues from my home into my projects at SCS. 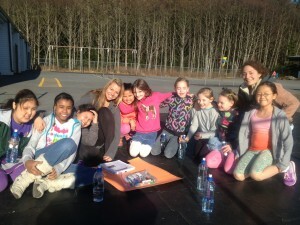 I lead Alaska Way of Life 4H classes at SCS. One of my main goals is to create a sense of community within our groups. Before every class we play a game or do an activity that allows us to learn about one another. Having weekly classes allows 4H kids to get to know their peers and makes them feel more invested in the community that they are helping to build. After these community building activities, we get to learn and practice new skills together that teach kids how to live with the land. The Alaska Way of Life 4H program has taught kids everything from harvesting wild edibles to tracking. 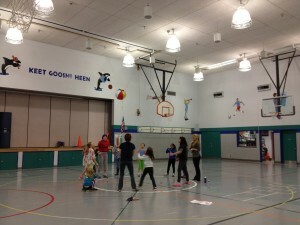 I am currently working on a project with a third grade class at Keet Gooshi Heen called Conservation in the Classroom. Many aspects of my lessons tie in to the value of simple living from JVC Northwest. My lessons are focused on water conservation in the Tongass. Our projects always take a hands on approach with “project based learning”. The students have done everything from building water catchment systems out of recycled materials to making their own water filters. We do all of our projects of recycled materials to live more simply and sustainably. 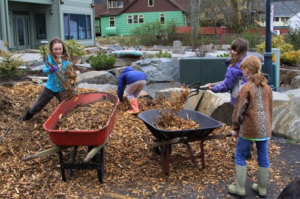 Social and ecological justice, community, and simple living are three values that JVC Northwest and the Sitka Conservation Society share and both works towards. It’s been a great opportunity to be a part of SCS and see the parallels between the two organizations.